Richard M. “Rick” Allen has been a friend for a while, and an e-quaintance for much longer. He has recently published, with Savas Beatie, a four volume set of rosters for the Georgia Regiments (7th, 8th, 9th, & 11th Infantry) of G. T. Anderson’s brigade. It’s a wonderful set of books that amounts to a collection of mini-biographies of the thousands of men who served during the lives of the regiments. I’m enjoying the heck out of them. Rick graciously took the time to talk about the project. You can order your own copies right here. RMA: Not much to tell really. I’m an only child and a 1990 graduate of the Maryland Institute of Art, where I received a B.F.A degree in what was truly a unique environment. Not having the sense to be a Graphic Arts major, we Fine Art types took our degrees and went on to work in just about any field excepting Art. In my case, I’ve spent most of my work career in the field of warehousing and purchasing, pretty much because I was always good at organizing things. BR: What got you interested in the Civil War? Who/what were your early influences? RMA: I come from largely military family; my father served, my uncles, both grandfathers, the whole shebang. I was lucky to have a father who enjoyed taking trips to battlefields and who instilled in me some sense of appreciating history. We spent many of my childhood trips on various battlefields, much to my mother’s dismay. My earliest influences were common, Tucker, Catton and Foote, but my initial fascination with the Civil War probably had as much to do with those great battle drawings with the little soldiers in The Golden Book of The Civil War as anything else. I was amazed by those drawings. It’s funny how often you hear that as an influence, but it absolutely was in my case. BR: So, how did you settle on Anderson’s brigade for this study, and why did you only publish the Georgia regiments? RMA: From about the late 90’s I started to get fascinated with Anderson’s Brigade mostly because at the time, it was like looking into a black hole. I’m primarily a Gettysburg guy, and there was always this kind of blank between Kershaw and Robertson. It seemed as if Anderson and Semmes just got sucked into the Rose Woods and that was that. You’d hear about Anderson in the Wheatfield fight of course, but it was usually just a passing reference with no real meat on the bone. The more I looked into this situation and the more tours I took, the more this pattern of emptiness repeated itself. Also, around this time, in following the line of the brigade’s attack on July 2, I became very interested in the terrain they had to cross and the particular set of circumstances that made their task so difficult. Nobody else really seemed to be doing much on the brigade, so after a few years of tentative learning, I finally decided that I would “adopt” them. This led to my serious interest in these regiments and I spent about 15 years learning all I could about them. As you referenced in the above question, the original idea was to create a Roster for every unit that ever served in what would become G. T. Anderson’s Brigade. Taking things chronologically, that starts with Bartow, so I first made a Roster for the 4th Alabama Infantry, which was attached to Bartow’s Brigade before it transferred to Bee before Manassas. That roster turned out well as the 4th AL has a great deal of information out there and a very complete set of CSRs [Compiled Service Records]. The next Roster I made was for the 1st KY Infantry……which you really have to do by battalion as they weren’t consolidated into a regiment for some time……so I next made three battalion rosters for them. These Rosters are not much, as the 1st KY only existed for less than a year, so this Roster is not really anything to brag about, but they have one. These two rosters and one for the Wise Artillery (which was frequently attached to Anderson’s brigade early in the War) served as my training grounds. By the time I got done these 2400 or so men, I had a good idea of what I was doing. I knew I would have much more meat on the bones with the Georgians coming up, and with some skills behind me, the next rosters I did were the 9th, 11th, 8th and 7th GA in that order. I think these turned out very well, but they were more work than even I expected. By the time I was done the 8th Georgia, I knew that I only had one roster left in me, so I knew the 7th would be my last. This effectively trashed the original idea of my making a roster for every unit in the brigade because I saw no way I could complete a roster for the 1st Georgia Regulars, 10th Georgia Battalion and 59th Georgia Infantry on top of what I had already done. The thought of 3000 more men to document was just too much. I was burned out. Six regiments and an artillery battery are apparently my limit. BR: Describe if you will the biographical rosters, their format, and the rationale for that format. RMA: The Rosters I created are pretty much the books I would love to have been able to read 15 years ago…except they didn’t exist. They are essentially based on the same format used by Lillian Henderson in her epic Roster of Confederate Soldiers of Georgia, but with much more information. I used a basic template like Henderson, and I tried to write in as detached and clinical a manner as possible while expanding the scope of Henderson’s effort. Breaking the men down into chronological rank, a process I termed as “slotting”, is really the most radical departure from Henderson’s format, but I thought that was an important and unique addition. It also damned near drove me crazy. BR: Can you describe your research and writing process? What sources, paper and digital, did you use most frequently? How long did the whole thing take to complete? RMA: The rosters were all done in a Word file and constantly adjusted through three distinct steps. Henderson first, then the massive amount of CSR information was added, and the third step was “everything else.” The rosters began with just the names in Henderson’s Roster, so that would be the skeleton of the entire work. As I would come to learn, what you find in Henderson is not always what you find in the CSR; in fact, quite often, there are major differences. Most of these differences can be resolved, but only by looking at the totality of an issue. In other words, you find clues in the most unlikely of places and you would never know they were there unless you looked at EVERYTHING. Records are sometimes mixed and contradictory, and there are notes on cards relating to entirely different people within the company or regiment that can solve an issue. Until you look at everything, especially as it relates to rank slotting, you are playing Jenga in the dark. Slotting was by far the most challenging aspect of these books. Frequently, on a project like this, you are at the mercy of long dead First Sergeants. Some company records were very detailed, and some were not. Figuring out how things fit together was most of the work. What could not be satisfactorily resolved was footnoted as such. By way of adding meat to the bones, these days we are lucky enough to have access to the CSRs online and essentially, these Rosters are probably 75% information that can be found in an individuals CSR. By far the largest amount of information comes from there, but it is quite a chore to organize in light of every other source. The other 25 percent comes from a combination of sources, including Henderson, the US census, Georgia Historical Societies, the National Archives, my own research material, war-time and post war rolls, Ancestry.com webpages, period newspapers, burial information from the Sons of Confederate Veterans and Find-A-Grave.com and material contributed by Henry Persons from his archive. Once all that information was assimilated, it was a matter of my editing all the information into the existing format. It was rather like throwing everything at the wall, then making sense of it by subtraction. BR: What were some of the most surprising finds you turned up in your research? RMA: The most poignant things were the deaths by disease. I knew the statistics, but until you go through a regiment man by man, I don’t think you can appreciate the variety of ways death was visited on these young men. The emotional impact was accumulative. You can really get strangely attached to a person or a group when you are clearing the dirt off their tombstones every day and I think the sense of responsibility was a little surprising to me. In the lighter vein, I was totally shocked by how many Georgians had some variant of the first name Greenberry. BR: How has the book been received? Any demographics on sales thus far? RMA: I think for those who have seen the books, they have been received very well. I never had any illusions about creating a best seller or even something most casual students of the CW would need in their collections. Not everybody likes licorice either, but the ones that do, really like it. For the average reader, I’m pretty far in the weeds on this project, but these are very narrowly focused reference books, so I always knew that would be the case. As simple as it sounds, I really take all my satisfaction from the fact that nobody will have to stand on a battlefield ever again and wonder who these regiments were. That’s why I made them. RMA: What is next? Well, I won’t be pumping out some new book every six months, I can tell you that. I’m satisfied with my contribution and I think my hat will hang on these Georgians for better or worse. Having completed 17 years with Anderson’s men, I did all I could for them and I willingly pass the torch. The next big thing for me is taking the trip I always wanted to take. Lord willing, I’ll be headed to the west of Ireland for two weeks next April. 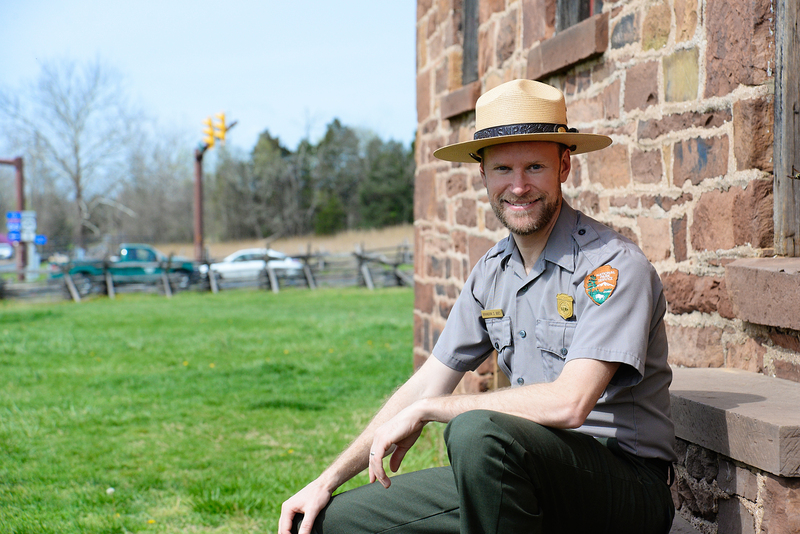 Back in February 2017, Brandon Bies was named the new Superintendent at Manassas National Battlefield Park (read the NPS press release here). In a somewhat unusual move for the NPS, they have placed someone with a very strong Civil War background in charge of a Civil War battlefield park. Mr. Bies recently took some time to talk to Bull Runnings about himself and the future of MNBP. BB: We might touch upon this more later, but for most of my life I had an interest in American military history – mostly in World War II and the Civil War. Realizing this, I entered college at the University of Delaware as a History major, though at age 19 I had no idea what exactly I would do for a career. Fairly quickly, I decided to double major in Anthropology, which is typically what you study in the United States if you are interested in archeology. I also added a minor in American Material Cultural Studies. I graduated in 2001 and went straight to grad school at the University of Maryland, earning my Masters in Applied Anthropology (with a concentration in Historical Archaeology) in 2003. While at UMD, I got my first real taste of the National Park Service, and spent 2 ½ years as an archeologist at Monocacy National Battlefield. That is where I did my Master’s project (we didn’t call it a thesis), which was to identify and prepare a National Register of Historic Places nomination for the archeological remains of the encampment of the 14th New Jersey. But my work at Monocacy also exposed me to other time periods as well, because the archeological history at Civil War parks goes back long before the battles were fought. By the end of grad school, I knew pretty well that I wanted to work for the NPS – I really identified with the mission, and the efforts the NPS makes to tell diverse stories. I was incredibly fortunate in that – just a half year after getting my Masters – I was able to find a permanent position as a Cultural Resource Specialist at the George Washington Memorial Parkway. I held that position until 2010, when I made the difficult decision to not get my hands dirty as often, and transition into park management. I served a brief stint as the Site Manager of Great Falls Park, and then spent four years as the Site Manager of Arlington House, the Robert E. Lee Memorial. While there, I was fortunate enough to work with the Director of the National Park Service to secure a $12.35M donation from philanthropist David Rubenstein for the rehabilitation of the entire site. At about that time, I began to dabble in legislative affairs, and so I moved over to the NPS regional office in D.C., where I split my time handling congressional affairs for all of the parks in the National Capital Region, while also still helping to manage the extensive planning of the Arlington House project. After three years in that office, I became the Superintendent here at Manassas in March 2017. BR: How did you get interested in history in general, and in the Civil War in particular? BB: I’d say I have always been drawn to history – particularly to military history. Both my grandfathers were veterans of WWII, and one of them went through some pretty bad stuff with the 1st Marine Division. I was always craving for him to share his experiences (which he eventually began to do prior to passing away in 2011). So as a kid I was always fascinated by WWII and, to a lesser extent, the Civil War. I do think that the Ken Burns series – which came out when I was eleven – made an impression on me, and by the time I got to high school I was reading a good bit about both conflicts. But unlike WWII, I could actually visit Civil War battlefields, which I began to do while in Boy Scouts. Towards the end of high school, I started going to Civil War reenactments, and I became more and more interested in the material culture of the Civil War and in the common soldier. In my freshman year of college, I took a course on the archeology of American battlefields, taught by Dr. David Orr. I was hooked. Dave was an archeologist with the National Park Service out of Philadelphia, and at the time was largely focused on the Civil War. I think that class is what refocused me, and I realized if I could be one thing, I wanted to be Civil War archeologist. BR: Since you’ve had a little time to settle in, what do you see as the challenges facing MNBP at this time? BB: I’d say the park is facing three major challenges: impacts from adjacent development, severe traffic congestion, and maintaining/restoring the historic landscape. The surroundings of the park have changed drastically over the last 30 years. While the park was once surrounded by farms, it is now bounded by development or planned future developments. 15% of the lands inside the congressionally-authorized boundary of the park are not federally owned. As I type this, there are multiple housing developments being planned or constructed on private lands within the boundary of the park. That will make it very, very hard to ever acquire and preserve those lands. But it’s not just housing developments – we’re working with the Virginia Department of Transportation on minimizing the impacts of a massive expansion of I-66, which runs along the southern boundary of the park. The proposed project will almost double the size of the road, and may include lengthy flyover ramps that are visible from within the park. And of course, there are frequent proposals for new cell phone towers and power lines that have the potential to create visual impacts. With development comes traffic. On weekdays, it is exceptionally difficult to move around the park except for in the middle of the day. Even then, hundreds of large trucks pass through the park daily, and the car traffic is still intense. This makes it challenging for visitors to experience the different parts of the park or to drive the audio tour. It doesn’t matter what we do to restore the landscape; with the constant buzzing of traffic through the park, visiting Manassas can be a very different experience than standing in the heart of, say, Antietam or Shiloh. The Department of the Interior is legislatively mandated to explore ways to divert traffic around the park, and if deemed to be in the interest of protecting the integrity of the park, construct new highways and close the major thoroughfares that bisect the park. Although planning for this did come close to reality a few years ago, rerouting the existing roads is a divisive proposal that is dependent upon considerable political and financial support to be put back on the table. Finally, restoration of the Civil War-era landscape is a huge priority of mine, but it is also a significant challenge. Many areas of the park that are now heavily wooded were historically open fields, but (for good reason) we can’t just go in one day and remove hundreds of trees. Besides needing to go through a considerable environmental and public review process, we also need a plan on how to maintain these areas once they are cleared. A classic example is the ~130 acres adjacent to the Deep Cut that were cleared about ten years ago; between the stumps that were left behind and the rocky terrain, it has been very difficult to maintain this area using traditional mowing methods, and thus portions have grown back up considerably. BR: On the flipside, what do you see as the opportunities for the park, in the way of programs and projects? BB: Well, speaking of landscape restoration, we are hoping to try some new things to keep some of these open spaces cleared, including the use of controlled burns. While using fire could alarm some people, it is a widely-accepted management tool throughout the NPS, and with proper outreach to the public, I think will ultimately help us significantly. It is also a great way to clear out nasty non-native invasive species, and ultimately supports the establishment of habitat for native birds like quail. We also have a quickly-growing friends group, the Manassas Battlefield Trust. They have a lot of energy, and I think in the next few years we are going to see some great things from then, ranging from the rehabilitation of historic structures to new educational opportunities. Finally, I really think we have an opportunity to reach new audiences. We cannot and should not depend upon Civil War buffs like you and I to be the sole supporters of this park. We have something for everyone, whether they want to come here to bird watch, to exercise, or just to enjoy 5,000 acres of open space. Now is the time to try to reach new user groups, forge them into advocates for the park, and share some significant Civil War stories at the same time. BR: Bull Runnings had a very successful (IMO) outing at the park in April 2016. We had over 60 folks tour the field from top to bottom, so to speak, on what started out as a rainy Saturday. Hopefully, we can arrange another such tour in the future. Many visitors to the park tend to spend their time on the Henry Hill loop, so far as First Bull Run is concerned. Are there any plans to raise the profile of the first battle on other areas of the field? BB: As I mentioned above, I am keenly interested in continuing to restore the landscape here, and that certainly includes looking at some of the key views related to the first battle. But it’s going to be a process and not happen overnight. Your readers may be interested in learning that, beginning in mid-October, we will begin a million dollar project to rehabilitate the Stone Bridge. This will include stabilizing some of the structural elements, replacing missing stones and repointing the whole bridge, and laying down new textured and colored pavement (called a chip seal) on the bridge road surface. If all goes according to schedule, the bridge should look great by the end of the year. I’d say that my reaction – and that of most of the staff – is disappointment. Our National Parks should be places for dialogue, not destruction. It’s healthy to have a debate over the causes of the Civil War, and over how we remember those who fought. But in national parks, we tell all the stories, from the combatants to the civilians to the enslaved, all of whom left their marks on these fields, and all of whom are worthy of being remembered. Carleton Young is the author of Voices From the Attic: The Williamstown Boys in the Civil War. Carleton was good enough to take the time to answer a few questions about his book and his research/writing process. BR: So Carleton, what would you like us to know about you? CY: My undergraduate degree is in economics from Westminster College. By my senior year, however, I was becoming increasingly interested in history. I attended Ohio University for an MA in history, and then began teaching at Thomas Jefferson High School while working towards my PhD at the University of Pittsburgh. I had anticipated switching over to college teaching, but by the time I had completed my degree, I found that I thoroughly enjoyed teaching high school students (it helped that I was teaching primarily AP American history) and had no interest in leaving. So I continued what I was doing and added in teaching college classes evenings as an adjunct professor at several colleges. My academic areas of interest had always been on rather obscure topics in which few others had an interest. For my Ph.D dissertation, for example, I became an expert on nineteenth century American history textbooks and how they covered religious issues. I always assumed that if I ever wrote a book it would be on something like that, not on what is probably the most talked about subject in all of American history – the Civil War. Until about twelve years ago, I knew only enough of the basics about the Civil War as was needed to teach AP History or a college survey class. My interest had been more in political history, so I could have told you a great deal more about the election of 1860 than about any particular Civil War battle. Then I found the letters. BR: Tell us a little bit of the story behind how you came across the Martin letters. CY: After my parents had passed away, I was clearing out their house in Pittsburgh. I did not expect to find much that I was unfamiliar with in the house in which I had grown up, but I was quite surprised that we found a very old wooden box in the attic. Inside it were hundreds of letters, still in their original envelopes, written home by two brothers as they fought in the Civil War. There were also things like officer commission papers and hand-written orders from the war. The letters had been written home by two brothers, Henry and Francis Martin, both members of the Vermont Brigade, Sixth Corps, Army of the Potomac. It was all quite confusing to me at first because I had no idea where the letters had come from or why they had ended up in my parents’ attic. I had never heard of any relatives with the last name of Martin. And I could not imagine why, with my interest in history, that my father had never mentioned to me that he had this box of Civil War letters in the attic. BR: Once you recognized the significance of the letters, what was your game plan for organization and research? How did the narrative structure develop? CY: The next step was to call in a friend, Edd Hale, who taught history and was more of a Civil War buff than I had ever been. Once he saw the letters, he then called in Bill Lutz, another local teacher who was even more of a Civil War expert. Then along with my wife, Carol, and Edd’s wife, Nancy, the five of us began holding weekly meetings. First we organized the letters chronologically and by author and placed them in acid-free folders and then into binders (they are all stored away now in a climate controlled storage area). Edd scanned each of the letters and we used those scans to then begin transcribing the letters. There are about 250 letters and not only are some quite long, but the hand-writing can be very difficult to read at times (especially after a battle). The two brothers also frequently used cross-writing, conserving paper by turning the letter side-ways and writing over the lines they had just written [see attachment]. It took us several years to get through the letters, and then because we had left many gaps of words and phrases that we couldn’t decipher, we went back and started all over. Being more familiar with the hand-writing and with their experiences, we did much better the second time through. We also began to do a good bit of traveling. We have visited the hometown of the two soldiers, Williamstown, Vermont, several times. We were quite amazed the first time that we visited that the head of the local historical society was able to direct us to the house of our two soldiers. Not only is it still standing, but it has become the front of a nursing home with the back wall of the house taken out for a large addition. The front of the house is used as a lobby and has been given a nineteenth century look, so we really felt like we had entered our soldiers’ home. We also received a great deal of help from historian Paul Zeller. He has written books on the history of the 2nd and 9th Vermont Regiments as well as a book on Williamstown soldiers in the Civil War, so that helped enormously in identifying other soldiers and townspeople mentioned in the letters. We also began visiting all of the battlefields where they fought. NPS rangers were always fascinated by the letters and very pleased to help us follow in the footsteps of our two soldiers in all of their battles. BR: Was there anything you discovered along the way that surprised you or went against the grain? CY: The study of the Civil War is like so many other areas in that the more you learn, the more you realize what you don’t know, so there was always a desire to learn more. But another reason that this book was more than twelve years in the writing is that the research went off in so many directions. 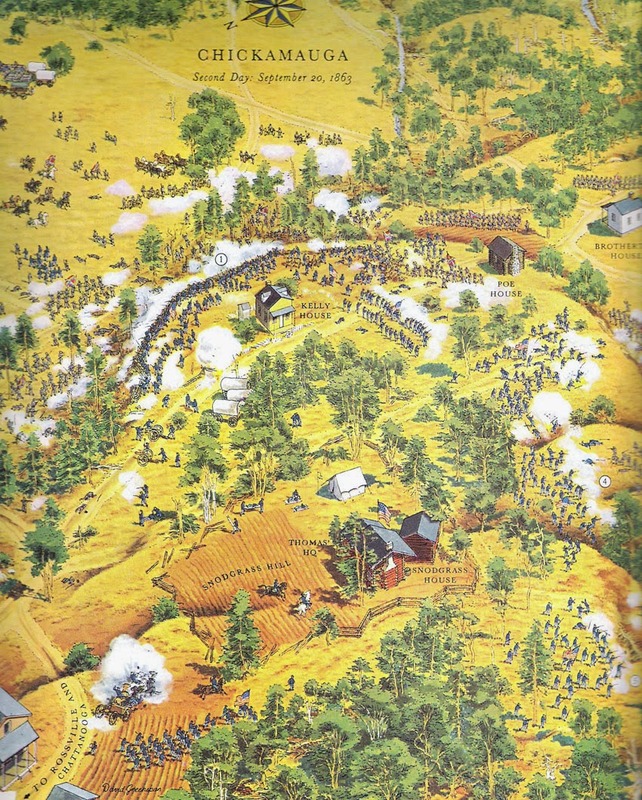 First there was the experiences of the Martin brothers throughout the war and learning about the role of their regiments at the Peninsula Campaign, South Mountain, Antietam, Fredericksburg, Chancellorsville, Gettysburg, Funkstown, the New York City draft riots, the Wilderness, and Cedar Creek. At the same time, the Martins had many close relatives who appear in the letters and as we started researching them, we began to see how interesting they were as well. For example, Francis and Henry’s uncle, Major Issac Lynde, was blamed for an early defeat in New Mexico, just four days after Bull Run. When Henry first arrived in Washington, D.C. for training, his uncle Issac was in town trying unsuccessfully to meet with President Lincoln to explain his side of the story. Lynde’s son, Fred, was in camp in the same regiment as his cousin Henry. One of Lynde’s daughters, Helen, another cousin, was married to Frederick Dent, whose sister had married his close friend, Ulysses S. Grant. Dent ultimately became a Brigadier General. Isaac Lynde’s other daughter, Mary, was married to Major Norman Fitzhugh, Assistant Adjutant General for Jeb Stuart. And that was just one of many fascinating branches of their family. At the same time, I found it necessary to develop my own family tree using Ancestry.com and other sources to make the connection to the Martins, and that ended up being surprisingly complex to find what ultimately was a somewhat distant family relationship. All during these years, many people kept asking me when I was going to finish the book, but it was only last year that I finally felt a sense that the time had arrived. BR: How do you sum up the experiences of the Martins, and how do you sum up how this project impacted you? CY: The letters are significant in part for the depth that they go into about each of their battles and specific aspects of army life. It was much more common for soldiers to gloss over such topics and dwell on more mundane matters in their letters home. One of the letters, for example, details an execution. Another describes the burning of dead bodies, rather than burials, by Union soldiers at Antietam. When I showed that letter to a NPS ranger at the battlefield, he told me that he had heard of this occurring but that he had never before seen a firsthand account like this confirming it. When I showed a letter to a historian at Fredericksburg, he told me he wished he could have used the letter as a source for his last book because it was such a detailed account of a part of the battle, along Deep Run, about which little has been written. The two brothers wrote vivid and in-depth accounts of battles, but they also discussed many other aspects of army life during the war. The letters include everything from step-by-step instructions on how they built their winter quarters, to recipes for making hardtack into a tasty pudding, and how best to prepare coffee in a frying pan over an open fire. CY: When I finally decided to publish, I contacted a number of publishing companies. Commercial publishers tended to feel that books based on letters and journals were more appropriate for a university publisher. The university publishers prefer academic books filled with footnotes and references to the most recent research. Although I have done that kind of writing before, that was not the book that I wanted to write. I simply wanted to tell the story of two brothers, primarily in their words, who witnessed and helped to make history, and then preserved that history through surprisingly detailed and insightful letters. Consequently I decided to self-publish the book. That limits the book to mostly on-line sales on Amazon and Barnes and Noble.com, but so far I am very pleased with both the sales and the responses from those who have read the book. CY: I greatly enjoy telling the story, and since I am now retired, I have been able to start scheduling presentations with many libraries, historical societies, and book clubs. I am also planning on teaching a course next year based on the letters in the Osher Lifelong Learning Institute at Carnegie Mellon University. But unless I stumble across another treasure trove of letters from the past, I do not foresee another book in the making. BR: I’m pretty sure most Bull Runnings readers are familiar with your work, and many to some extent with you, but for those who aren’t, what’s the thumbnail sketch of John Hennessy up to this point? JH: My career might constitute the most successful and enduring adolescent delaying tactic in history. When I got out of college (I studied both history and management), I wanted to get a job I liked for a summer before I entered the slog of the real world (thinking I would ultimately pursue finance or some such lucrative-but-un-thrilling path). So, I got a job at Manassas Battlefield, hired by Mike Andrus and Dave Ruth (now the superintendent at Richmond NB). That whirlwind summer changed my life. One summer turned into most of a year, then another….and finally a career. I haven’t entered the real world yet. Since those happy Manassas days, I have worked for the New York State Historic Preservation Office, the NPS Interpretive Design Center at Harpers Ferry (doing interpretive and exhibit planning for parks throughout the NPS), and finally at Fredericksburg and Spotsylvania NMP. I arrived there in 1995 as Assistant Superintendent and in 2001 transitioned to the Chief Historian’s position. There I still reside, challenged every day and the beneficiary of a truly outstanding staff of history professionals. Along the way I have written a few books, most notably Return to Bull Run, which came out in 1993. Most years my professional duties with the NPS have been so consuming that I have had little time for writing of my own. I still punch out a few articles and essays each year, but not nearly as much as I would like. BR: So, why history, and why the Manassas? JH: Rainy days inspired my interest in history as a kid. Rainy days gave me the chance to read, and I found I loved biographies and history. I am not alone in pointing to two books as inspiration for an interest in the Civil War: McKinlay Kantor’s Gettysburg and the American Heritage Picture History of the Civil War. I still remember vividly the trill of reading Kantor’s book on a dark, drippy afternoon with my bedside light on. And I do believe I came to know every one of those tiny men in the great landscape portrayals in American Heritage. Every one. Transforming an interest in history to a career in history honestly never occurred to me until I arrived at Manassas. My determination that first summer was to leave behind at the park some piece of research that mattered—something that told us things we didn’t already know. As I dug deeper, I realized that a great deal remained to be understood about the battles and field–especially Second Manassas. At that time, for me, one thing drove me more than any other: the desire to accord significance to the ground—to be able to give visitors the experience of understanding what happened RIGHT HERE at a given moment more than a century ago. That rather narrow quest spun up into efforts to better understand the battles in a larger sense. In 1983, I floated the idea to the park of using the research I was then doing as the basis for a set of troop movement maps for Second Manassas. I can see now that that was my great career break. That work got the attention and support of Ed Bearss, who was then the Chief Historian of the NPS, and it gave me a chance to do a level of research that quite honestly has been the foundation for everything I have done since. For me, those were exciting days that few historians will ever have a chance to match. I left the NPS for a time in 1986, and only then did I decide to write books about Manassas. For most of five years I worked on both An End to Innocence and what would become Return to Bull Run. A funny thing about An End to Innocence: when I worked at the park, I wasn’t much intrigued by First Manassas. Only after I left the NPS did I start to think seriously about the battle, its significance, and the conventional wisdom that governs it. I wrote the book over about a six-month period in 1988-89. Its scope is fairly narrow–closely focused on the battle itself. There is a reason for that: at the time, the best book on First Manassas was William C. Davis’s Battle at Bull Run. Davis is a beautiful writer and a thoughtful historian. He did a tremendous job on the campaign at large and the battle’s context. But at the park, we always felt like he didn’t quite get right the battle itself. And so I wrote my book to fill that gap, and to avoid treading on subject matter he had already handled so well. BR: Are there any writers/historians who influence your writing? JH: When I get stuck in my writing, I pull out Freeman or Furgurson to get my literary mind working again. As for inspiration, there’s no question that Sears’s Landscape Turned Red helped shape my vision of what a battle or campaign study should be. Beautifully written and organized. BR: An End to Innocence has been out, what? over 25 years now, and it’s recognized as a standard (to me, THE standard) tactical study of the First Battle of Bull Run. What prompted you to do a new edit? JH: Stackpole Books inquired about reprinting the book at about the same time I had started thinking that I should do something new with it. At that point I envisioned only small edits and additions—nothing major. But then I started reading it again. I doubt most authors spend much time reading their own books, and I honestly hadn’t read anything but pieces of the book in years (mostly to prepare for tours). I had always liked it fairly well, but now…. Didn’t like the opening. Rewrote that. Found a good deal of passive voice and some awkward constructions. Slayed those. And as I went, I increasingly felt the narrative lacked richness, power. In some places a vagueness betrayed my uncertainty; in other places I knew I had, since 1989, gathered more powerful source material that could be woven in. Pretty quickly a two-week edit turned into a three-month rewrite. I didn’t rewrite the whole book, but probably 80% of it. BR: So, what IS new in this edition? Was there anything that really surprised you along the way? And how much was that affected by the availability of material, or by a maturation in your own thought processes? JH: I shudder when I think how little I really knew about the Civil War and American history when I wrote this book in the late ‘80s. Then, my (and many others’) focus was on the accumulation of knowledge—adding detail, incorporating new sources. Today, I think we prize understanding to a far greater degree, and we demand that knowledge and understanding be interwoven. I think I understand the First Battle of Manassas far better today than I did then—its fabric, its nature, and why it mattered. Back then, I saw the battlefield landscape as mere tableau—a playing field for armies. Today, and in this edition, I pay a good deal more attention to the people who lived there, recognizing that this was a living space whose residents were deeply affected by what happened there. This is a general trend in Civil War historiography, and it’s a good one. Since 1989, we have accumulated probably 150-200 new sources on the battle, many of which are now posted on Bull Runnings (more on that later). We are at a point in the historiography of the Civil War that most of the new sources that emerge simply reinforce things we already know. But sometimes they prompt some re-thinking, and a re-examination of sources one might not have given a thought to in years. An example: we have always presumed that the 11th New York and 1st Minnesota were the only two Union regiments atop Henry Hill at the first exchange of infantry fire. But we now know that the 38th NY was there too—farther off to the left, but without question engaged with Jackson’s line at the same time the Fire Zouaves were suffering their fall from fame and grace. Similarly, we have always presumed, as Burnside asserted, that Sykes’s Regulars played a major role in averting Union disaster at the height of the fighting on Matthews Hill. A closer look makes clear that’s all wrong, and there is little question about it. The Hampton Legion, the Mississippians with Bee, Barnard’s reconnaissance on July 19-20—all emerge with a slightly different hue thanks to new sources and a forced reconsideration. By far the biggest challenge in the rewrite revolved around Irvin McDowell. In the original, I treated McDowell as something of a caricature –embracing conventional wisdom and the relentless cascade of simplicities that seem to revolve around him. This time around I took more time and, I think, a more thoughtful approach. You had something to do with that. Your writings on the blog about McDowell, elusive though they may yet be, helped push me to take a close, second look at this much maligned man (I was really hard on him in my Second Manassas book) and, especially, his plan for battle. I wait anxiously to learn if you agree with my conclusions about McDowell (all of us of course want to stay on Harry’s good side), but in any event, my treatment of McDowell, the circumstances he faced, and his response as the battle progressed amount to probably the most important substantive revision of the book—less simplistic, more nuanced, more intent on understanding rather than simply narrating. Some other new things: I include a good deal about the civilian spectators, both Union and (yes) Confederate. If Americans know one thing about Manassas, it’s that civilians came out to watch. I look closely at their experience, their role in affecting the Union retreat, and the important legacy produced by their bearing witness to Union disaster. I also take a much closer look at the aftermath of battle. The combat itself shocked the soldiers. The aftermath shocked the nation. On this field were the first major field hospitals of the Civil War. Here were buried the first great numbers of dead. To this place came hundreds of curious onlookers and souvenir seekers. All these things tell us a great deal about how this battle reverberated across the nation, North and South. And finally, really, how did the battle affect the people of the North and the Confederacy? Is the conventional wisdom that it shocked the nation to action true? Did Southerners really believe victory meant independence? I touched on these things only slightly in the original. These questions get more rigorous treatment in the new edition. BR: What types of sources did you rely on most, and how did that change between the first edition and this one? JH: For the new edition, I did only a bit of targeted research (most of that when I was preparing for the 150th in 2011). Instead, over the years I accumulated First Manassas things as I found them, throwing them into my files or, more recently, turning them into digital files (about half my research is now in digital form, and I hope eventually to phase out my 15 or so boxes of 5 x 8 cards entirely). I regularly check sites online for new material, and I have always been a bit of a maniac about wartime newspapers. The number of wartime papers online increases all the time, and many of them include primary sources worth looking at. (In fact, since I sent off the manuscript just four months ago, another dozen or so new sources have tumbled onto my desk). Of course by far the best website for new material on First Manassas is Bull Runnings. In fact, it’s the best compilation of online material related to a specific Civil War engagement ANYWHERE (you can quote me on that). One thing I surely noticed: Back in the 1980s, it was simply impossible to lay hands on some published sources. Today, many of those elusive sources are available digitally. As an example, my treatment of Extra Billy Smith and the 49th VA benefitted greatly from access to his writings, which I could not get in 1988. The digital age is a boon. As I worked through the rewrite, I went back and re-examined literally every source I used or quoted in the original. Often I found I had overlooked a good passage or an important point my first time through. This process of reassessing sources prompted a good deal of the rewriting I did. BR: Can you describe your writing process? JH: I just write. I suppose I have in my brain an outline of what I am going to do, but I am not usually conscious of it, and I never put it on paper in outline form. My life is pretty busy, so I often got only small snatches of time for writing each day—often only 30 or 40 minutes. Once was, that would have been a disaster. But my writing “voice” has developed enough that I can fairly easily jump in and out of writing as circumstances command. When I did get blocks of time to write, on a typical night I might get in 800 words. If I had a day, maybe 2,000. Writing is like building a brick wall. If you imagine the whole thing, it’s daunting. All you can do is the little bit in front of you—put the thoughts and sentences and passages together one-by-one. JH: My writing career has always been an inverse indicator of the fulsomeness of my career: when I have been challenged greatly at work, I hardly have the energy to write at home. But when those periods come along when 9-5 work is less stimulating (remember, I work for the government, so it happens), I look to get my intellectual jollies by writing. For the moment, my NPS work is pretty demanding. I will do occasional articles or essays, but likely not much more in the near term. But, I am only a few years from retirement, and writing is what I plan to do when it comes. My great interest is the Army of the Potomac, and especially its relationship with the government and people it served. I am also much interested in its subordinate command. I expect I will write about both those topics. I also have an emerging itch to write a book about the artillery of the Army of Northern Virginia. I’ll also someday write about the town of Fredericksburg during the war, slavery and freedom hereabouts, and perhaps a few things well outside the well-trod intellectual and literary terrain of the Civil War period. One last thing: sometime, perhaps in the spring, we ought to convene a Bull Runnings outing at Manassas for you, your readers, or anyone else who wants to come along–walk the ground, and hash through some of the mysteries and conundrums that remain. It’d be fun. I’m game if you and your people are. BR: What do you think, Bull Runners? Does that sound like fun? Something you’d be interested in? Maybe the first ever Bull Runnings muster! We’ll see how it plays out, but your feedback is key. Joseph A. Rose is the author of Grant Under Fire: An Expose of Generalship and Character in the American Civil War. I previewed the book here. Mr. Rose took some time to answer some questions about the book below. JAR: Growing up, I read anything non-fiction, up to and including the 1960 World Book Encyclopedia. Our house contained a goodly number of books, and my father’s collection was rich in military history. These works, especially the West Point Atlas of American Wars, simultaneously begat a love of maps (I preferred that atlas to the pictorial maps in American Heritage’s fat The Civil War, showing little soldiers running around). One of the first books I read on warfare was The Great Siege by Ernle Bradford, with its map of Malta’s convoluted Grand Harbor. At the State University of New York at Albany, I earned sufficient credits for a minor in history, as part of a bachelor’s degree in geography, but cobbled together an urban studies minor, instead. A joint Cornell University/Baruch College program awarded me a Master of Science in Industrial and Labor Relations. JAR: My interests in military history—and history, in general—have always been wide-ranging, but no early influences really stand out. I had no favorite generals or battles and read for information and not just a well-told narrative. But after returning from a year-long, cross-country trip—with requisite stops at Gettysburg, Antietam, and Chattanooga—I joined a Yahoo discussion group on the western theatre of the American Civil War. BR: Why the interest in Grant, in particular? These arguments caused me to delve more deeply into the library stacks, the Official Records, the internet’s myriad resources, and various manuscript collections. It became apparent early on that Ulysses S. Grant’s own writings—biased, inaccurate, and sometimes untruthful—have been overly influential. Civil War history should no longer be founded upon his Personal Memoirs. After a while, with a ton of research already compiled, writing a book became the obvious next step. BR: What makes your study stand out? There have been over the years and recently works critical of Grant – what does your book contribute to the literature on Grant that has not already been contributed? JAR: Grant Under Fire overturns 150 years of what is, frankly, bad history, which has basically followed Grant’s Memoirs and the biographies of his friends, staff, and supporters. Writers such as Adam Badeau, Albert D. Richardson, and John Emerson praised Grant without end. Until lately, Civil War historiography rarely strayed from this path. Recent books by Frank Varney, David Moore, and Diane Monroe Smith, however, have made a good start, along with William McFeely’s Grant and a few much older works, in rectifying some of the mythology surrounding the General. But there’s so much that has never before been investigated or analyzed, and never anything published that is nearly as comprehensive as Grant Under Fire. In controversy after controversy after controversy, this book offers a fresh take, more information, and—quite often—a vastly different conclusion than that reached by the General’s prior biographers. Negative but highly germane evidence, if uncovered by these writers, was somehow omitted, while Grant’s manifold blunders were ignored, minimized, or excused. Along with reevaluating Grant’s generalship, I lay bare innumerable flaws in the historiography, such as Bruce Catton’s about-face on several issues after taking over Lloyd Lewis’ biography. BR: Grant Under Fire is a doorstop at 621 pages of narrative alone. Can you summarize your thesis, and maybe give a few supporting examples? JAR: The examples could go on nearly without end. My book has a number of major themes: Grant’s tactical inability, favoritism and hatreds, indolence and negligence, exploitation of military politics, mistreatment of Black soldiers and civilians, and marked unreliability as a chronicler of the conflict (his Memoirs do not deserve their vaunted reputation), as well as numerous minor ones: his alcoholism, luck, corruption, injustice to fellow officers, and failure to credit essential supporters (e.g., Elihu Washburne, John Rawlins, and Charles Dana). A chapter on the post-war period demonstrates that he didn’t change his stripes. His defects were just easier to see. Grant’s biographers often credit him with victory at Fort Henry—where Foote won the battle—and refuse to recognize that Buell deserves much if not most of the acclaim for Shiloh (Grant falsely asserted that he took overall command). And Grant appropriated the tribute for opening the Cracker Line at Chattanooga. Only the bravery and intelligence of the men and subordinate officers turned his foolish orders (to charge to the base of Missionary Ridge and stop) into an unexpected and glorious triumph, after which he stole their laurels. The Overland and Petersburg campaigns revealed a commander who could not stop attacking, no matter how strong the enemy’s defenses or how worn-out his own men were. Much of Grant’s advance on Vicksburg was highly commendable, but his previous bungling for months in the Delta’s swamps and his assaults on the city detracted from even that campaign. People who might complain that the book is one-sided should keep in mind the subtitle: An Exposé of Generalship & Character in the American Civil War. It would be like saying that Woodward and Bernstein weren’t open-minded about Nixon. My investigative efforts are an antidote to the poison of Grant hagiography. The existing biographies are almost always both one-sided and inaccurate, although they may look unbiased. 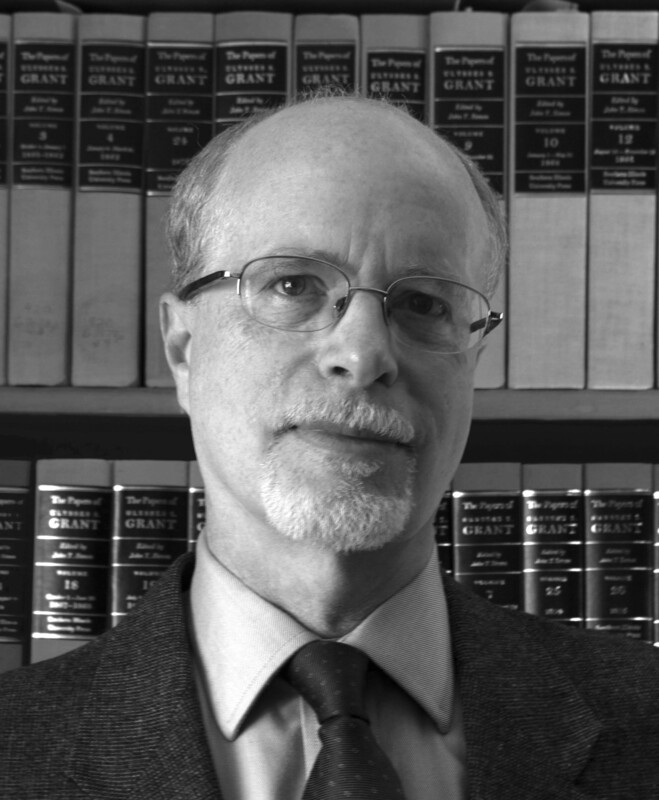 Grant Under Fire should also help redeem the reputations of many unfairly criticized victims of Grant, whose biographers seemingly love to berate officers such as John McClernand and William Rosecrans, whom the General detested. They unreasonably slag George Thomas and even censure Robert E. Lee, in comparison with their hero. Grant’s failure to quickly forward a flag of truce after Cold Harbor became an opportunity for some biographers to blame Lee for letting the federal wounded suffer and die between the lines. My analysis reveals who was responsible … Ulysses S. Grant. BR: What were the major stumbling blocks along the way to completing the book? JAR: The inability to see more manuscripts scattered at repositories around the country. I still need to visit the Wyoming Archives to see letters of Grant’s staffer, John Rawlins, in the Bender Collection. I had to use secondhand accounts of the Hamlin Garland papers at U.S.C., although I don’t completely trust writers to correctly characterize what they cite. BR: What surprised you in the process of writing it? JAR: Several items: A certain level of inaccuracy in contemporary accounts and in the participants’ autobiographies, for example, was anticipated. But the extent of fallacious logic and argument and fact, not only in the Grant biographies but in standard histories, was astounding. Several authors used “proportional losses” as an indicator of generalship, when all that does is automatically reward the leader of the larger force. It’s mathematically wrong, yet no one seems to object. Certain authors even practiced a literary jujitsu, turning negative characteristics into positives. Grant’s lack of detailed directions in orders to assault became an unwillingness to micromanage his subordinates. Giving friends undeserved acclaim was magnanimity. Unmilitary, unofficial dealings with Representative Washburne were celebrated as an ability to use politics. His authorizing a huge expenditure without bothering to look into it displayed his decisiveness. BR: Can you briefly discuss your research and writing process? JAR: Unfortunately, I multi-tasked and went off on tangents. Instead of sticking with a single line of pursuit, I constantly jumped from one issue to the next as the threads of research kept leading to new material. Had this been attempted before computers became available, confusion would have reigned. But I duly entered the information into one of many multi-tabbed spreadsheets, and this allowed me to compile numerous accounts on each aspect of an issue. So, when the time came to write it up, I could compare and analyze multiple perspectives to obtain a more accurate picture, as opposed to those writers who depended upon a single source (all too often Grant’s Memoirs, something similar, or a secondary account). A fine example might be the Union soldiers’ feelings on leaving the Wilderness. Typically, the view comes from Horace Porter’s idolizing Campaigning with Grant or Frank Wilkeson’s Recollections of a Private Soldier. William Marvel, however, determined that Wilkeson’s battery wasn’t even in the battle. By way of contrast, I examined well over one hundred sources, and Porter’s “triumphal procession” was actually a tedious, vexatious, exhausting, and silent march, according to most participants, particularly those who recorded it at the time. With determined digging, I’ve found so many brand new or relatively unknown accounts and, in the process, overthrown other widely accepted stories. I’m amazed that more authors haven’t found or used Grant’s unsubmitted report in the Library of Congress, which confirmed that he occupied Paducah under orders. The same goes for General Stephen Hurlbut’s published letter to his wife after Shiloh, helping to confirm the Memoirs’ exaggeration (“I was continuously engaged in passing from one part of the field to another, giving directions to division commanders” at Shiloh). Grant intended to have George Thomas’ men ascend Missionary Ridge at Chattanooga on November 25, 1863, according to Sylvanus Cadwallader’s posthumous book, Three Years with Grant. Yet, this reporter’s evidently unknown Chicago Times article, written that very evening, maintained the exact opposite. My book could not have been written without the internet. So many resources are now available online, particularly newspapers of the period, scholarly and magazine articles, government records, maps, dissertations, and even manuscripts (I am particularly happy when transcripts are provided). I’ve downloaded thousands of books in the public domain, including hundreds of the “regimentals.” For more current works, Amazon’s “Look Inside” feature and Google books permitted limited searching. BR: What archival sources did you use, both brick and mortar and digital? JAR: I used everything that I could. New York City has a wealth of resources, and having friends and family in Boston, Chicago, Philadelphia, and Washington helped immensely. The $1 fares offered by Megabus kept my costs down. A two-month trip across country featured stops at the Lincoln and Grant libraries, other repositories, and many battlefields. Those interested can see the bibliography on the book’s website (along with the introductory chapter and index) at: http://www.GrantUnderFire.com. BR: How long did it take? How did you know you were done? JAR: Altogether, it took roughly twelve years, and for almost half of that period, it was a full-time pursuit. JAR: It’s gotten great commendations from everyone (except a certain “CANNIBAL” on Amazon: “This book is probably the worst book on Grant ever written. The author seizes every opportunity to twist the facts to suit his purposes.” When this was written, the book was almost unavailable; I’m pretty sure that the reviewer hadn’t read it. Cannibal’s three other Civil War reviews—including Tim Smith’s Shiloh—were also one-star, but were typed in all caps, and I wish the same had been done for my book to reveal the nuttiness). Before Grant Under Fire was published, eight noted Civil War authors had read parts or the whole of the book, and their blurbs praised it, especially for the research. Midwest Book Review stated: “Impressively researched, Grant Under Fire is an iconoclastic but exceptionally well documented contribution to our clearer and more in-depth understanding of the role Grant played in the American Civil War.” A very large number of other review requests are still outstanding, as those in journals, especially, take a long time to appear. I did introduce the book on one Civil War website where Grant’s supporters seemed rather resistant to new information and perspectives. In that respect, it will be a tough sell; almost everybody, it seems, loves a hero. But I’m not at all astonished that people admire the General, as hundreds of biographies have lauded him with little reservation since before the war even ended. Surprisingly, the sales in Europe have been higher than I would have imagined. Maybe they are not as emotionally involved as some readers on this side of the Atlantic. JAR: As part of the marketing campaign, I am scheduling speaking engagements on a 2016-17 cross-country tour. My research projects are all related to the Civil War and/or Ulysses S. Grant. I’ve learned so much throughout this whole process and hope to put it to use. I am currently editing two Civil War manuscripts and expect to be helping other authors publish their work, be it history, inspirational, or fiction. You can find out more at Mr. Rose’s website here. BR: How about some background on yourselves for the readers? SB: I am a graduate of Danville Area High School (PA), Penn State-Geisinger School of Nursing and attended Bloomsburg University. After a twenty-three year nursing career, most of it in the ER at Sunbury Community Hospital, I moved to Gettysburg and achieved my Licensed Battlefield Guide License in 2001. I am proud to be a two-time recipient of the Superintendent’s Award for Excellence in Guiding. When the new visitor center was being built, I joined the staff of the Gettysburg Foundation to do research, locate artifacts for inclusion in the museum, and work with the conservation team, as a research historian, to restore the Battle of Gettysburg Cyclorama. I have been an avid collector of Gettysburg images, mostly from the 19th century. My images of the four versions of the Gettysburg cyclorama proved to be especially useful during my work on that project. CB: I am 44 years old, I am married to a very supportive wife, Laura, and we have a daughter, Mary, who is 3. I was born in York, PA and I lived in Newark, DE and Lancaster, PA before we moved to Fairfield, PA (just outside of Gettysburg) about 8 years ago. . I have a degree in Psychology from the University of Delaware. For many years after college, I ran a bowling center in York, Colony Park North. While I have had several different careers, history and the Civil War have always been my hobbies. My wife and I have visited most of the major battlefields on the east coast. I became a Licensed Battlefield Guide in 2010 after 5 years of study. As a guide, I have taken many different groups of people on tours of the battlefield at Gettysburg. I also work for the Gettysburg Foundation as the Assistant Manager of the Visitor’s Services department. As part of my job at the Foundation, I have spent hundreds if not thousands of hours looking at the Gettysburg Cyclorama. My curiosity led me to try to identify every person, unit, or place pictured in the painting. After a few years I realized that I had a good portion of a book worth of material, which got me started on this project. Our new book is the first book I have ever written. BD: I’m a native of Connecticut and relocated to the Gettysburg area in 1999 with my wife Lynn, where I pursued my interest in photography and Gettysburg history. My images have appeared in local, regional and national publications, textbooks, corporate publications and commercial advertising and book jacket covers. BR: What got you interested in the study of history in general and the Civil War period in particular? SB: I have always appreciated history as an avenue to discover who we are as a culture and how I fit in to it. I love to read works of non-fiction, especially biographies of historical figures. Learning about these people in the context of the times in which they lived has often inspired me to broaden my range. When I read a biography of Paul Tibbetts, who piloted the Enola Gay, I was deeply affected by the impact of the bombing on the people of Hiroshima and Nagasaki and read as many personal accounts as I could find. After meeting Elie Wiesel and reading a biography about Simon Wiesenthal, I began to study Holocaust history. Again, it was the personal accounts that affected me the most. My interest in Gettysburg was also inspired by the human side of the story. I acquired a Civil War diary written by a man who lived in the same area that I did. His name was Michael Schroyer and he served in Co. G, 147th PA Volunteers. Schroyer and his story pulled me into Civil War history and I have never left! The license plate on my car reads “147th G”. I love the questions I get from people who don’t immediately recognize the meaning, and the knowing smiles and nods from those who do. Human connections are such a powerful way to experience history! CB: As a young boy in the 70’s, my grandparents, Lois and Corky Brenneman used to bring me to Gettysburg several times every summer. We would see some of the sights and have a picnic. At that time I just loved to climb on the rocks and cannon and pretend to fight a mock battle with my wooden rifle. My parents also took me to many historic sights on our family vacations like Yorktown and Fort Sumter. In general, I have always loved history (colonial, W.W. II, medieval, roman times, etc..), especially the Civil War. After college I started reading more history books and as I read about Gettysburg, I could picture the various places from my childhood explorations. Besides trying to visit other battlefields, my wife and I would always be sure to go to Gettysburg a couple of times each year. After a while, we liked it so much that we decided to move into this area. I really have to thank my wife for being so supportive of me and my dreams. She helped me change carriers and relocate here to Gettysburg while I was studying for the Licensed Battlefield Guide exams. BD: I visited Gettysburg when I was a young boy on a family vacation and was moved by the human drama of the events that unfolded on these lands. BR: Gettysburg Cyclorama is really two books in one, (the story of the Cyclorama, and a tour using the painting as a guide.) Can you tell us about what you were responsible for, and what it contributes to the Gettysburg literature? SB: I have a strong desire to know the back story about people, events and things in general. So my part of the book is the back story of cycloramas – the history of how cycloramas came to be such a big part of life in Victorian America, as well as who made them and how. Since the Gettysburg painting had not been displayed as a true cyclorama for many decades, I thought it was important to let readers know what a cyclorama was supposed to look like so they could fully appreciate the restored Cyclorama. CB: My part of the book focused on everything that is in the painting. I tried to name every unit, individual, farm, or geographical feature that I could find. I used modern photographs of the painting that could be enlarged in order to see distant objects in extreme close-up. I then compared them to modern pictures of the terrain, maps, historic pictures, and the actual battlefield. The last ten chapters of the book are my analysis of the ten sections of the painting (based on the ten terrain photographs that the artist had taken in 1882). Another important resource were the historic keys to the painting. The key was a circular drawing that came with the historic souvenir programs in the 1800’s. Viewers of the 19th century would look at numbers on the circular drawing and the key would have descriptions of the various people and places. We knew that these keys were changed in different cities, presumably to market the painting to the local audience. Thanks to my partner Sue, who collects the historic programs, I had access to all of the historic keys. Nobody had ever tried to catalog every historic key (along with the modern keys from the 20th century) and identify exactly who was who and where. So I think our first contribution to the literature of Gettysburg is that we have thoroughly examined this painting for the first time and given it the treatment that such an important piece of history deserves. The analysis of the keys also is very interesting because it shows how the painting – and the Civil War – were viewed in the 1880’s and 90’s. Many of the people mentioned in the keys were more important in 1884 than they were in 1863. BD: I was the principal photographer whose role it was to faithfully record, document, and accurately prepare the images for printing that supplemented the text. BR: Can you describe how long it took to write your part, what the stumbling blocks were, what you discovered along the way that surprised you or went against the grain, what firmed up what you already knew? SB: I had some basic knowledge about the Gettysburg Cycloramas because I had collected images and memorabilia in the years before it was restored. When the restoration project got underway around 2005, I was given the opportunity to share the images and provide research support. The chief conservator, David Olin, was very much aware of the historical significance of our cyclorama as an artifact but also as a historical document. He had done work for the Library of Congress and the National Archives, among other institutions, and recognized that integrity in restoring the content of the painting was paramount. Therefore, even the tiniest detail, such as a tree added to the canvas during a 1960s conservation, needed to be carefully researched, and removed when it was found to be not original to the painting. There were a number of these interesting challenges, each one requiring research to inform the final outcome. The biggest of these challenges was the need to restore 14 feet of missing sky which had been cut away before the painting came to Gettysburg in 1912. Although we had some historical documentation by Michael Jacobs, a professor of math and science at Pennsylvania College, as to what the cloud cover looked like that fateful third day of July, it was hard to put the words “a few white, fleecy cumulus clouds floating over from the west” onto canvas with a degree of certainty that it was being correctly interpreted. Then a stroke of absolute good fortune intervened to help us overcome this particular challenge. We found the original oil-on-canvas scaled study made for the purpose of informing the larger work! I had been sent by the museum design team to look at some artifacts at the Chicago History Museum for possible use in our new exhibits and while there, I found the studies among the general collections. I will never forget how exciting it was to bring back digital copies of those studies! Needless to say, our beautiful cyclorama sky is historically correct. The biggest surprise for me in researching the Gettysburg Cycloramas was discovering that there were more of them than Philippotaux’s original four. Once I was able to establish that there were others – all copies of Philippoteaux’s work, known as ‘buckeyes’ – it became clear that the Gettysburg Cyclorama stored at Wake Forest University was not the original Chicago version as it has been purported to be, although it was shown in Chicago at the 1933 World’s Fair. I am still getting calls from individuals asking me to prove it which I happily do. CB: The entire process of writing, getting it published, editing, and lay-out took almost five years. The layout and editing were extremely time-consuming for such a complicated book with so many pictures (over 400). You also forget about things like sources and captions, which also take a lot of time. As a new author, much of the process was new to me. Luckily, the staff at Savas Beatie were extremely helpful with some of the more complicated issues. During the process of examining the painting, I made a really fascinating discovery. With the help of a few of my co-workers at the Gettysburg Foundation, we realized that several areas of the painting had been changed. With some detective work I eventually discovered that the changes were made in 1889. The artists added extra troops, flags, cannon, and even General Meade. Over the years, it had been forgotten that these changes ever happened. Some more investigation helped me to discover that it was the suggestions from the veterans of the battle that led to these modifications being made to the painting. SB: I love to research but tend to get bored when I don’t find anything new after a lengthy period of time. However, it only takes the discovery of one elusive little tidbit to get me re-energized and back on the hunt. Early on in my cyclorama research, it seemed as if there was nowhere to go to find cyclorama related information. In the larger scope of Victorian life in America, the cyclorama phenomenon lasted barely a decade before giving way to motion pictures, thereby limiting the quantity of documentation able to be amassed for future reference. Eventually, the isolated tidbits of information I was able to find began to connect and lead to other sources. As the project was getting underway, a visit by participants of the International Panorama Conference offered a wonderful opportunity to network with other researchers and scholars. Two of these individuals, Suzanne Wray of New York City and Chicagoan Gene Meiers, often sent research notes they encountered while doing research for their own projects. This proved invaluable since two of Philippoteaux’s Gettysburg cycloramas were located in those cities. The park archive at Gettysburg has a decent amount of information but it was unorganized until Museum Technician Beth Trescott put it in useful order. Much of it was amassed by Alfred Mongin, a park historian who began to research Gettysburg Cycloramas in 1933 in anticipation of the park acquiring the painting from private hands. Mongin’s work was laborious, consisting of numerous form letters mailed to museums across the country. He meticulously followed up on leads from respondents but seemed to struggle to fit the pieces together. He also conducted lengthy interviews with people who had personal connections to the world of cyclorama exhibitions. My favorite one of these was Mongin’s interview, in 1942, with Charles Cobean, who had served as manager for the painting from 1918 until 1942, the year it was acquired by the National Park Service. Cobean met Philippoteaux during the artist’s visit to Gettysburg sometime before 1920 and remembered the artist telling him that the dog in the painting was his own pet. The writing process for me is always more difficult than the research. I tend to write like I speak (I am Pennsylvania Dutch!) so there is an ongoing need to tweak, review and repeat a number of times before the work becomes reader-ready, or at least, ready for an editor. CB: The first part of the process came from having spent many hundreds of hours inside the Cyclorama looking at the various details and answering visitor’s questions while doing my day job for the Gettysburg Foundation. I would then compare the view with the same views on the battlefield today. Thanks to the tree cutting that has been done in the last 20 years by the park, the views today are very similar to the historic pictures that the artist used to create the painting. In order to answer questions from my co-workers and the visitors, I started adding to the modern key more and more items that I could identify. I also designed a tour of the battlefield that visited all the places that you could see in the cyclorama. Eventually, I realized that I had enough material for a book about the painting. I had been a big admirer of Sue’s first book about the Cyclorama, but I knew that she had made several new discoveries about the history of the painting. I also thought that a larger book with hundreds of close-ups was needed to do the cyclorama justice in book form. I approached Sue and said that we could combine our efforts and write one comprehensive book that covered every known aspect of the painting and its history. As far as sources are concerned, I used the historic keys and pictures of the painting from Sue’s collection to compare every key to both the modern painting and the pictures of the 4 different versions painted by Paul Philippoteaux. I also read through all of the files on the cyclorama at the Gettysburg National Military Park. The Official Records of the Union and Confederate Armies and my own personal collection of maps and books on various subjects were relied heavily upon. My colleagues in the Licensed Battlefield Guides were extremely helpful in answering many of my questions. I was also assisted by many of the park rangers at Gettysburg, and the Adams County Historical Society. BR: The book’s design is bold. Can you describe how that was conceived and evolved? SB: The inspiration for the book’s layout stems from the diagrammatic keys that accompanied the souvenir programs which were unique for each version of the painting. They changed to cater to the interests of each new target audience, and reflected ongoing input from veterans. Co-author Chris Brenneman, who spends considerable time on the platform in the course of his work, was inspired to find out how many of the faces looking back at him from the canvas had unique identities. Such a concept required good quality images, and lots of them. That’s how Bill Dowling, a professional photographer as well as a Licensed Battlefield Guide, was brought into the project. CB: I came up with the layout as I was writing, knowing that it was going to be a very visual book. The first thing we did was rent a scissor lift and re-create the 1882 terrain photographs that the artist used to make the painting. Then, during the writing, I had a large digital picture of the entire cyclorama. I used this large image to focus in on specific areas and crop out the areas that I was discussing. At the same time, I used Microsoft Publisher to make a crude layout of which pictures went with what text. I gave this layout to Bill Dowling so he would know exactly which close-up shots I needed him to take. Bill did a tremendous job, and even the shots of objects in the extreme distance are very clear. I knew that this was very important, to have high-quality images, or else the whole book would not have the desired effect on the reader. When the book got to the publisher, I made a mock-layout of the first 3 chapters to help the publisher envision what I had mapped out. I also gave them the crude mock-up of the last 12 chapters that I had made while I was writing the book. I really have to thank the layout specialist who worked for Savas Beatie, Ian Hughes from England. He did a tremendous job following my sometimes extremely complicated plans. Ian also used his skill to make everything fit together and flow really well. One of the biggest challenges was getting everything to fit in the space allotted. Ian did a tremendous job and we did not have to cut out any of the pictures (we did reduce a few in size, but out of 400+ pictures, that is not bad at all). BR: Bill, can you describe your photographic process, and basically what you had to consider producing the required images? 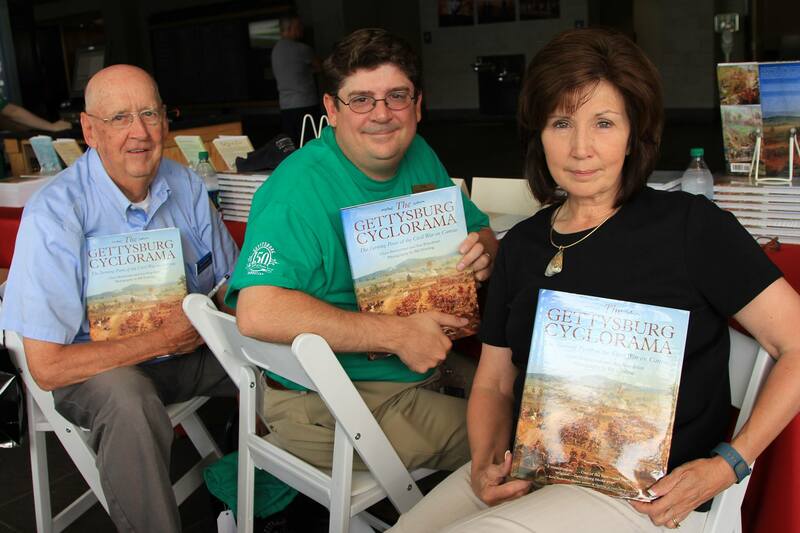 BD: The manuscript authors, Sue and Chris, spent countless hours of research, writing, editing and fact checking to ensure that the, development, creation, preservation and history of this “American Treasure” that we know as the Gettysburg Cyclorama was accurately told. I owed it to them, to the people who would purchase this book, to myself, and primarily to Mr. Paul Philippoteaux and his team of artisans to ensure that the images I recorded were clear, sharp and color balanced. Initial interest in a book is dependent on its subject matter. With a book containing hundreds of photographs that illustrate and explain the words of the writers the images take on a more meaningful role – especially if what is being illustrated in an iconic work of art. Many inter-dependent factors need to be considered and balanced to produce a worthy image. Lighting – its source, color temperature, intensity and direction is of primary importance. The human eye and brain work flawlessly to instantaneously compensate for these variations – a camera lens cannot. These variations need to be addressed and adjusted, if required, in the photographers editing processing. Image size, clarity, exposure time, aperture setting, depth of field, resolution measured in pixels per inch (ppi) are still more variables that require attention if a tack sharp image is to be reproduced. All competent photographers must deal with these laws of optics before and after the shutter button in pushed. images into its final eye pleasing form which was faithfully reproduced by the printers. Some people may never have the opportunity to visit the Gettysburg Cyclorama. Perhaps with this book they can examine Paul Philippoteaux’s interpretation of one of the most dramatic events in all of United States military history – Pickett’s Charge – in the comfort of their favorite easy chair. My favorite image is the overhead shot of the Cyclorama taken from the catwalk above the painting. This perspective is one that few people have the opportunity to see first hand. I hope I did justice to the people who produced The Tuning Point of the Civil War on Canvas. BR: Sue and Chris, what’s next for you? SB: Since 1991, I have been researching the men in Co. G, 147th Pennsylvania Volunteers. The first item on my bucket list is to publish their story. Meanwhile, I am excited to be able to watch the restoration of the Atlanta Cyclorama currently underway. It is truly wonderful that soon, history buffs will be able to see two beautifully restored Civil War cycloramas! CB: I do not know what is next for me. When it comes to books about Gettysburg, there are many books about every conceivable part of the battle. I felt lucky to find a subject that did not have a book (or dozens of books) written about it. I hope that this book will be the definitive book about the cyclorama for many years to come. Unless some amazing discovery is made about the painting (like if someone finds a Philippoteaux diary), there is not much more to uncover about the Gettysburg Cyclorama. For now, I will be quite content to spend time with my wife and daughter, give visitors tours of the battlefield, and work for the Gettysburg Foundation. Maybe someday I will travel the world and try to write a complete book documenting all the cycloramas in the world, but for now I am quite happy here in Gettysburg.